YouTube used to supply RSS feeds for its video channels, but those went away a while ago. It is still possible to subscribe to a channel in your normal RSS news reader, but those feed URLs don’t work in the popular podcast apps I tested them with. 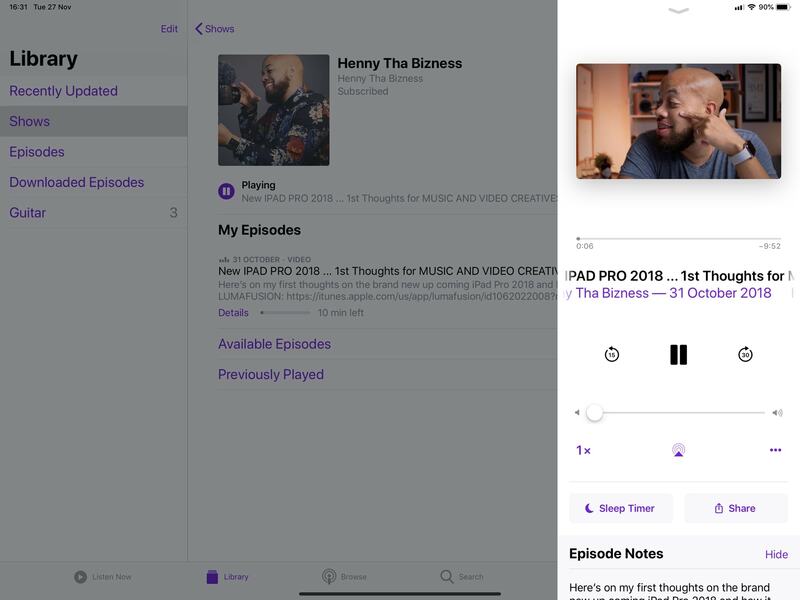 To further complicate things, not all podcast apps support video podcasts. Downcast does, as does Apple’s own Podcasts app, which is what we’ll use today. Step one is to visit your favorite channel in a web browser. On iOS, that’s probably Safari. Then, copy the URL by long-pressing the URL bar and choosing Copy from the pop-up bubble. Paste any YouTube channel or playlist URL into PodSync. Then, head to PodSync. PodSync is a service that takes YouTube and Vimeo channels and playlists, and turns them into podcasts. 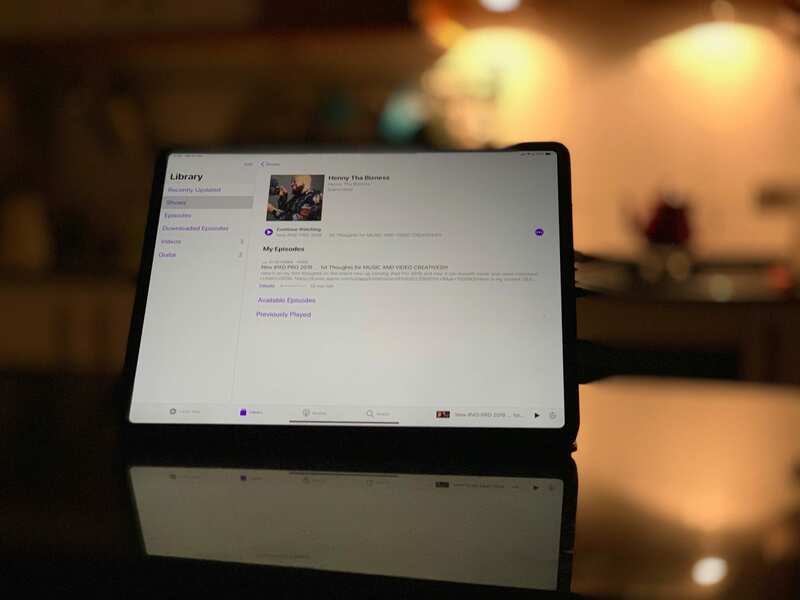 Copy that, and then open up your podcast app of choice. Make sure it supports video. In Apple’s Podcasts app, go to the Library tab. 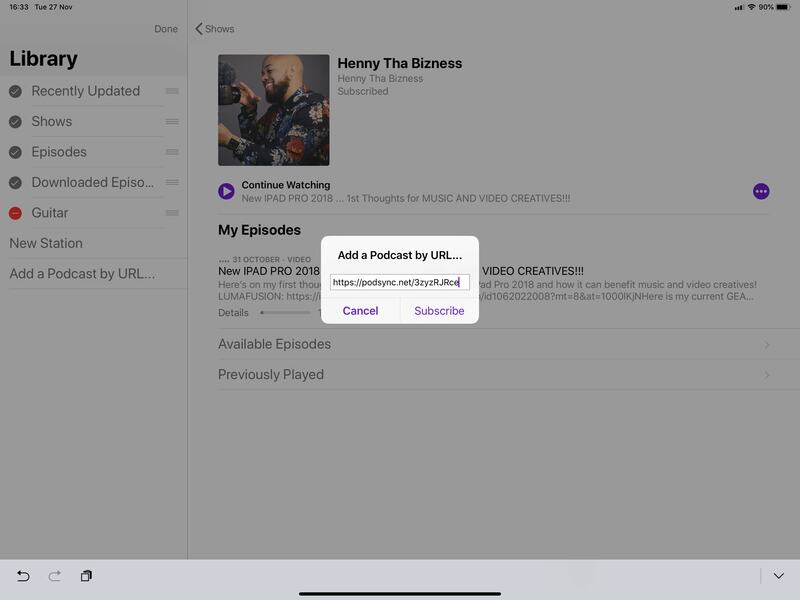 Tap Edit, then tap Add a Podcast by URL. You’ll get a box to paste in the URL you copied in the last step. Do it. Paste the PodSync URL into this box. Now I can watch all Henny’s new videos whenever they arrive. You may be wondering why you’d bother with such a thing. For me, it’s because I don’t like the YouTube site, or the YouTube app. Also, having to visit the site just to see if there’s something new feels ridiculous. This way, my podcast app checks for me, and gives me an alert whenever there’s a new episode. New episodes download in the background, when I’m on Wi-Fi, so I always have something to watch if ever I’m offline. And the videos play in the native iOS video player (although you can use this trick on the Mac, too, with Downcast or iTunes). That means I can watch it in full-screen without any workarounds. The Podcasts app even remembers my place if I stop watching, so I can resume later. Finally, I really like how the PodSync app presents my feeds, with all the original links and notes. If you like, you can pay PodSync a subscription to get extra features, but the basics we used today cost nothing. Check it out.